Former British and Commonwealth heavyweight king David Price will return to action at Bolton’s Macron Stadium on July 27. 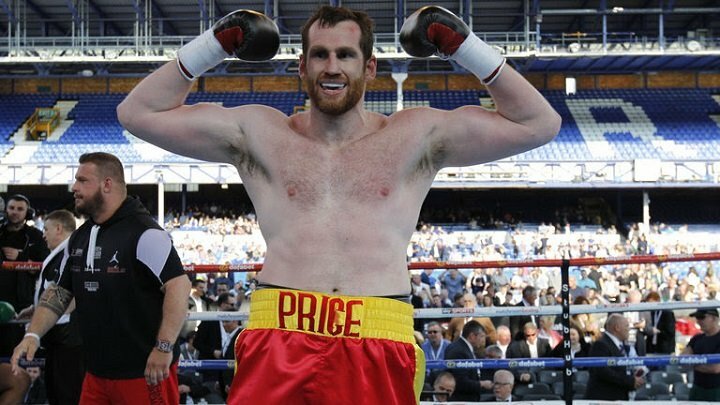 Price (22-5-KO18) was stopped in a thrilling fight against former world champion Alexander Povetkin (34-1-KO24) last time out but despite defeat, the Liverpudlian is more determined than ever to reward his growing fanbase with a major title. Price said: “I’m made up to be back. I’m grateful to MTK Global. They’ve delivered this fight for me and I’ve got my mojo back. I’m back in love with boxing. “I really enjoyed the fight and the occasion last time out. It was great to be part of such a big event. My next fight won’t be on that scale but it’s a step back towards the big time. “I said before I’d target the European title but I’m not solely focused on that. I just want another big fight and it could just as easily be for a world ranking title. “A lot of inspiration has come from the fans. It’s really giving me such a boost. When you receive the support I have – especially after a defeat – it’s heartwarming. An impressive undercard for the MTK Manchester event will be revealed in the coming weeks. Price said: “I’m excited to get back in there. I can’t wait. Normally I have some time away from boxing after a fight but I want to get straight back into it this time. I’ve fallen back in love with it. Reflecting on a wild bout, Price added: “That hook landed so cleanly. If the referee hadn’t have given him a count I could have followed up my attack before the end of the round. They were small margins.